You asked for it, you got it. 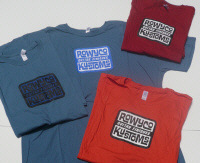 ROWYCO KUSTOMS goes eKommerce! We shamelessly dip our feet into the vast pool of merch to hawk our rad-iculous line of kustomized gear and kollectables. 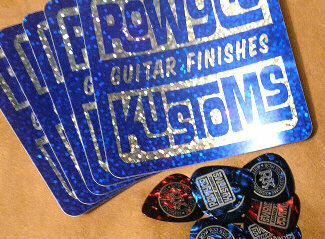 Here's your chance to get your own RK rig or simply show off your amazing level of koolness. Armed with only your credit card, you can shop safely online using our PayPal cart system. Browse, buy and GLITTER DONE! Love Metalflake? Of course you do! 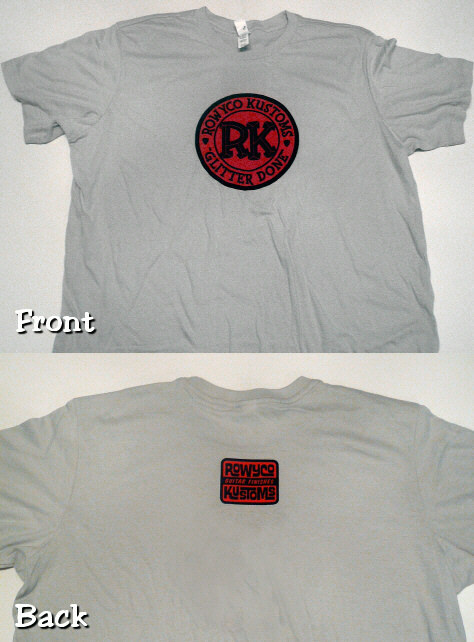 Show everyone how much with the Rowyco Kustoms "Glitter Done" tee shirt. 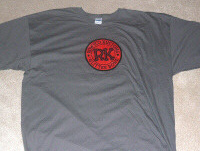 This silver gray shirt features real screen printing done by our friends at The Merch. It's NOT a digital transfer or iron-on decal. Constructed of 4.2 ounce, 100% cotton, this high-quality "Canvas" by Bella unisex tee is baby-soft jersey knit. It feels like a super comfy old shirt. These do run slim so if you prefer a looser fit order a size larger than normal. I've only got these left in 2X size. The "Glitter Done" logo is home on a Gildan Men's 4.5 oz. SoftStyle tee of 100% preshrunk cotton. I've only got these left in 3X size. As above except the shirt is a Gildan Men's 5.3 oz. Heavyweight tee of 100% preshrunk cotton. The one that started it all. 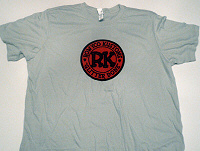 The ultra-kool RK logo adorns these Gildan SoftStyle Men's 4.6 oz. 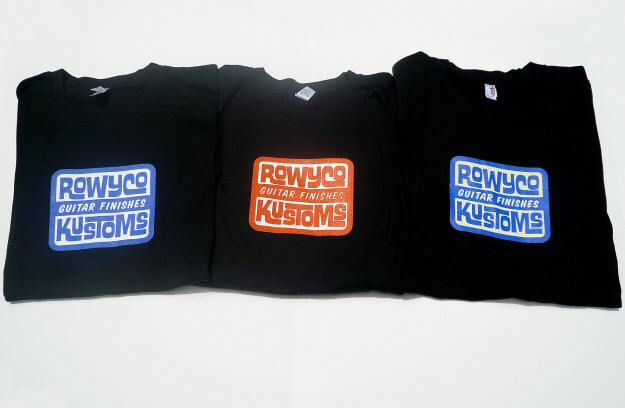 tees of 100% preshrunk cotton. 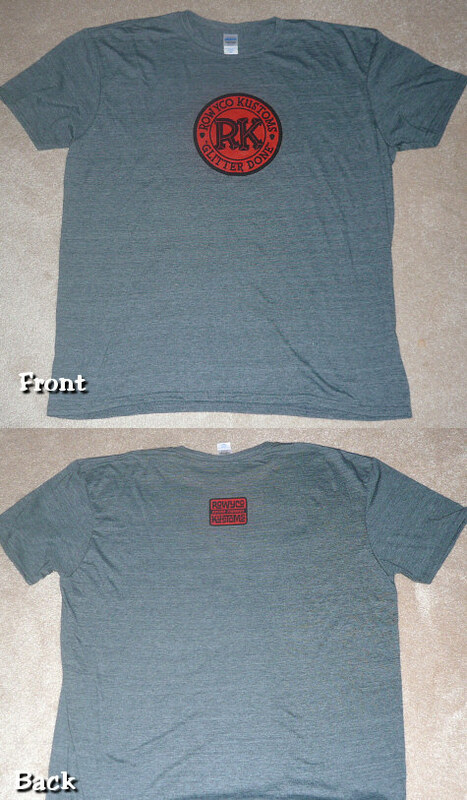 I've got a hodgepodge of size/color combos of these shirts in L / XL /XXL sizes for you to choose from. Okay boys and girls, this one is very similar to the original except the logo is printed on Anvil Garment's Ring-Spun. 100% cotton tees. 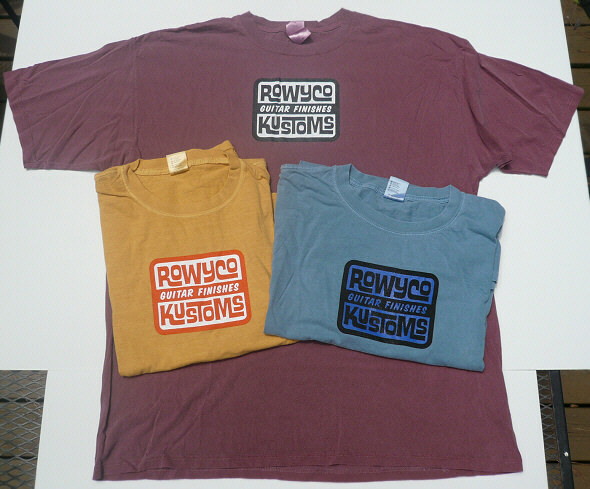 These shirts have that vintage coloration and "worn" feel. Again, I'm left with a limited mix of colors and sizes. Once they're gone, they won't return. Everybody needs a basic black tee for those "formal" occasions, right? 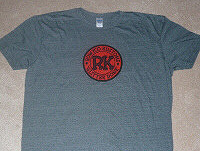 You get the bright, bold RK square logo on a nice Anvil Garment cotton shirt. You can't get more basic than that. Limited quantities in L / XL / XXL only. 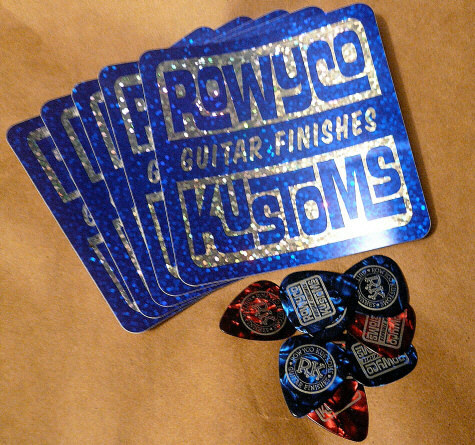 Emblazoned with RK branding you get five "holoflake" stickers to slap on your gear and 10 picks to toss to your adoring fans. Yeah baby, own your own klassic! 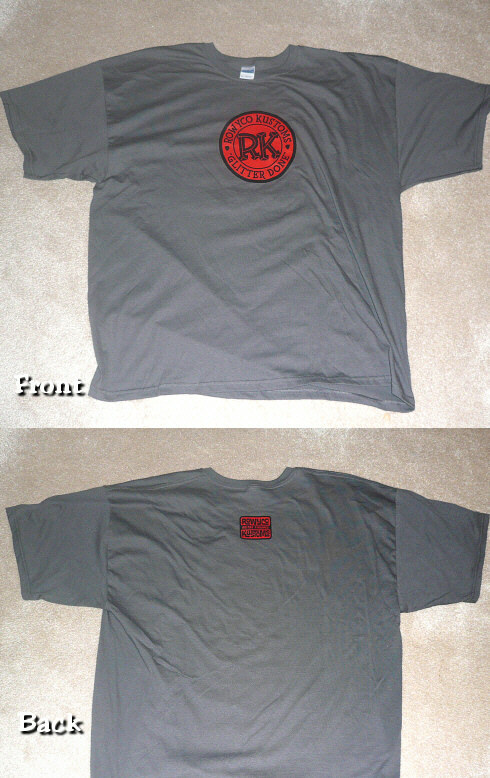 RK modded gear is comin' to the store!